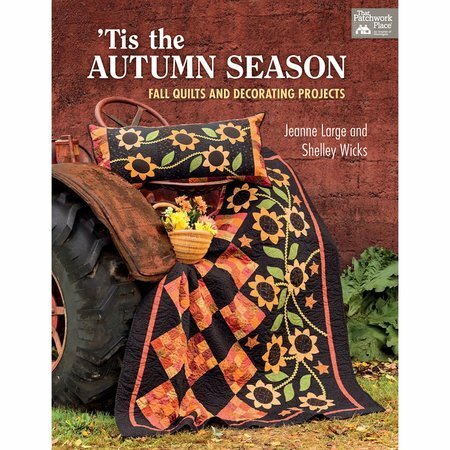 Tis the Autumn Season by Jeanne Large and Shelley Wicks from Martingale will give your home a wonderful Autumn feel with this amazing collection of quilt and decor projects. 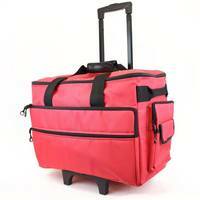 With designs from the popular authors you can create charming quilts with coordinating projects. There are 12 distinctive patterns included plus a bonus online "Harvest Trio" pattern. You can mix and match styles from scrappy pieced quilts to the authors' popular chunky applique technique. In this book Jeanne and Shelley share their techniques for piecing, fusible applique, and wool applique so you can learn it all! Softcover. 80 Pages.